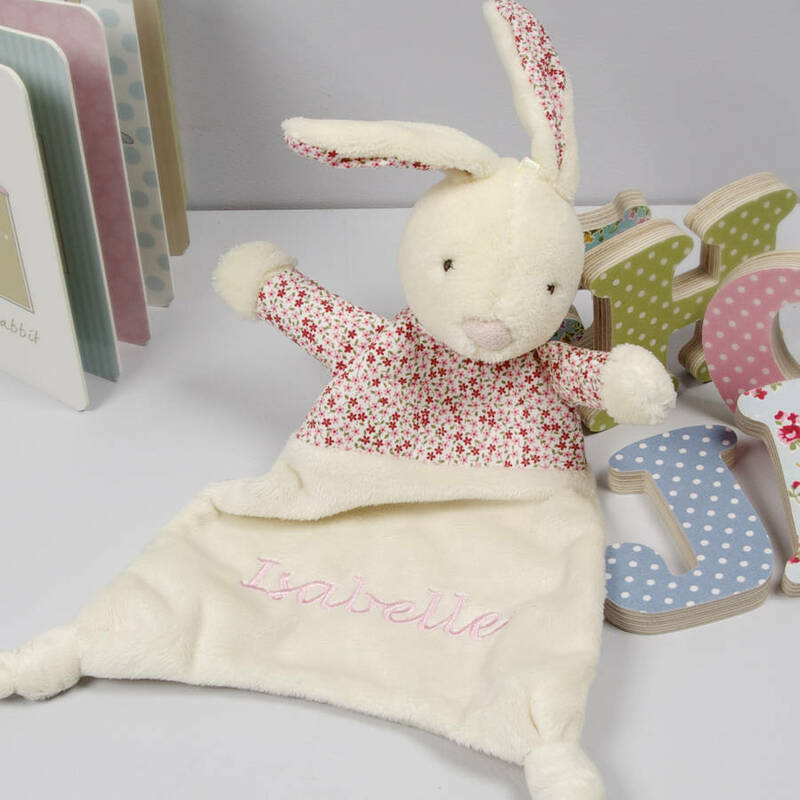 A super soft Cream and floral bunny comforter blanket with knotted corners and the option to add personalised embroidery. Made from soft brushed cream fleece this comforter blanket makes a great baby shower gift for a mum or dad to be, a gift on the birth of a new baby girl or for a christening keepsake. The bunny has a floral fabric body and inside ears and a cream triangular bottom. It is suitable from birth and can be personalised with baby's name in matching embroidery. 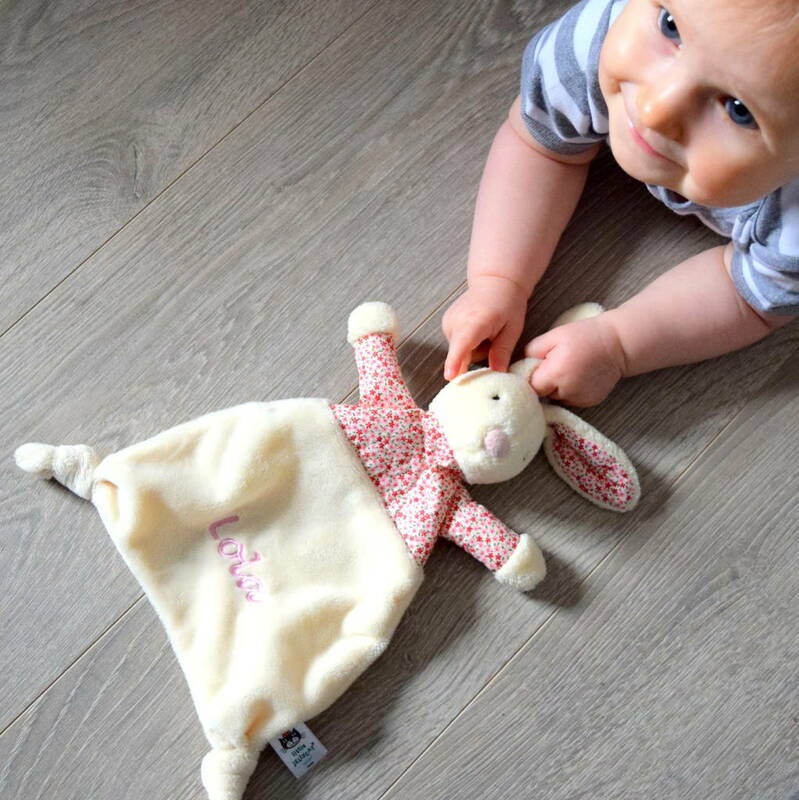 Babies love to hold something soft and cuddly at nap time or bedtime and with their name embroidered on it this makes it extra special. Tell us the name you would like and we'll do the rest. The embroidery is positioned towards the bottom of the blanket in pale pink embroidery thread. Why not add a Petal bunny rattle toy to make the perfect gift. You can see our full range, including our personalised gifts, by clicking on our name (in blue) at the top of the page.